The British withdrawal from Palestine had started in the latter part of 1947 and on 4 April 1948, the Squadron had moved to the airfield at Ramat David in an enclave around Haifa in the north from which the final evacuation would take place in mid-1948. 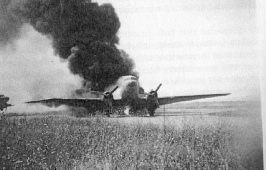 The date for the final evacuation from Haifa to Cyprus was fixed to be 22 May when the Squadron was to fly a final reconnaissance of the southern sector before departing. However, at 0600 hours the early morning peace was shattered. A Spitfire appeared overhead and dropped a bomb amongst the two rows of eight Spitfires on the hard-standing. The pilots rushed to their aircraft as a second Spitfire appeared on a strafing run damaging more of the RAF Spitfires sending the pilots for cover. 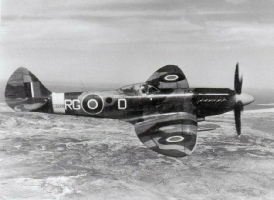 Three of the Squadron’s pilots immediately took off in three of the undamaged Spitfires to investigate activity over the airfields in the south of Palestine. As they returned, Flying Officers G. Cooper and R. Bowie took off to mount a standing patrol. At 0730 hours, just as three Dakotas were landing, the ‘rogue’ Spitfires returned and the Squadron Commander came on the R/T and told his two pilots to engage them. 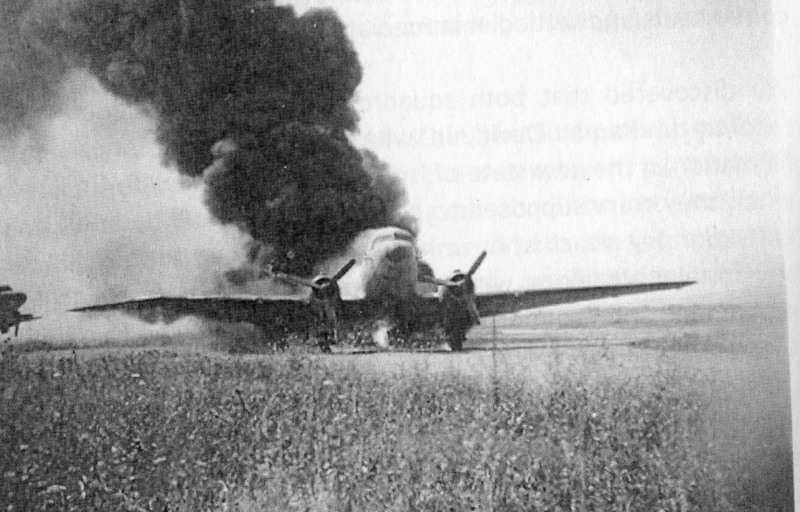 Bowie immediately attacked one, recognising the markings of the Royal Egyptian Air Force (REAF), and shot it down as the second dropped a bomb destroying one of the Dakotas. It escaped at ground level and Cooper closed in and shot it down. Shortly after 0900 hours there was a third attack. Flying Officers T. McElhaw and L. Hully were patrolling over Haifa when two Spitfires attacked the airfield. McElhaw immediately engaged one at very low level as it attempted to escape. He fired three short bursts and the Egyptian Spitfire immediately flew into the ground. As he turned he saw another Spitfire, checked its markings and he and Hully engaged it. McElhaw fired a long burst and it dived into the ground. Following this frantic morning, six more Spitfires arrived from Cyprus as reinforcements. The Egyptians immediately made a public apology claiming that their aircraft had intended to attack the Israeli-held airfield at Megiddo but had misidentified Ramat David losing five Spitfires during the ill-fated attack. 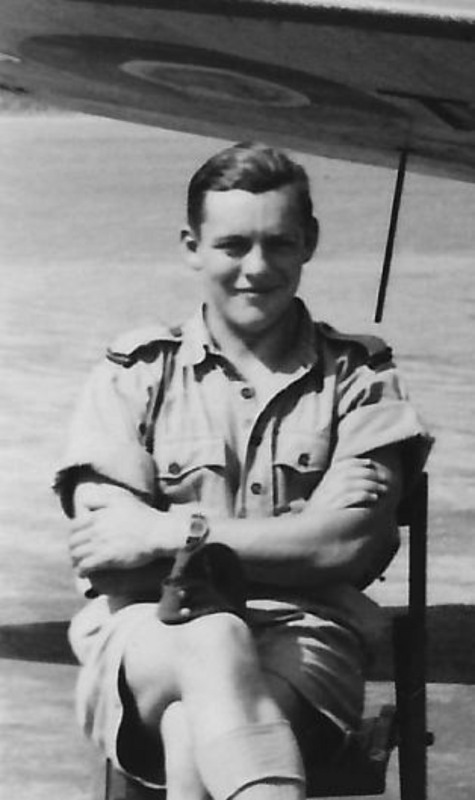 The ground crew worked frantically to patch up the Squadron’s Spitfires and the following day nine left for Cyprus immediately followed by the ground crews aboard Dakotas. So ended a very unhappy period of occupation as the British withdrew from Palestine and the Jewish state of Israel was proclaimed heralding many more years of turmoil in the region. This article first appeared in the 2018 Newsletter.